Buildup is an interactive video installation designed with two goals in mind. One: to playfully draw the average passerby into becoming art themselves, turning the audience into the performer. Two: to make a digitally abstract yet accurate document of all forms of traffic passing by a given street, a visual data trail composed in realtime. 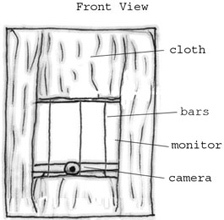 Technically, what is happening is the video feed from the camera is analyzed based on movement. 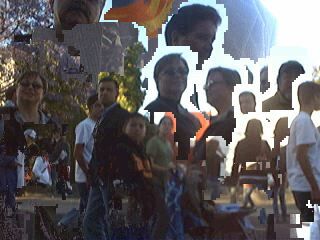 The foreground, audience is roughly determined and extracted from the background in realtime. Their images are then layered on top of all those previous, unto infinity. Buildup Sub-SoFA is a fun interactive video installation that plays with ideas of crowds and time with undertones of surveillance and performance. Originally shown as Buildup Behind Bars in 2006, this work is the second incarnation of Buildup, re-imagined for 01SJ 2008. 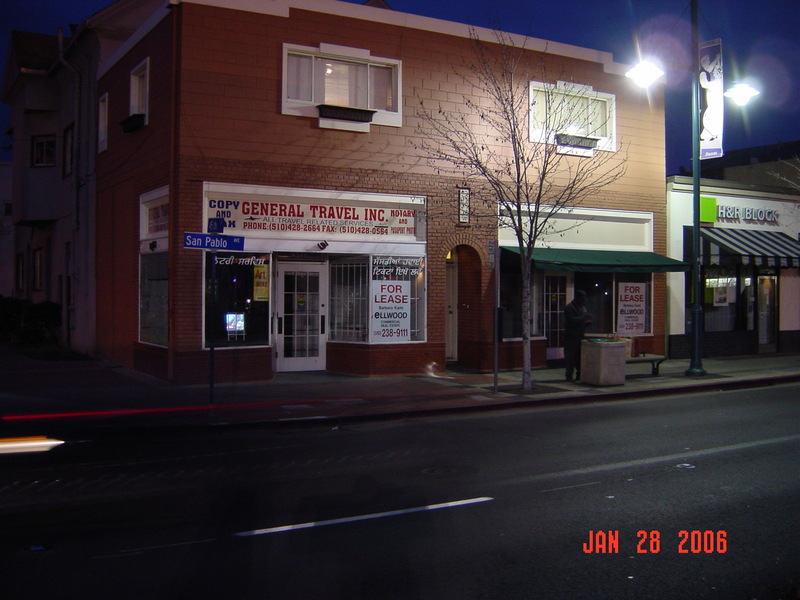 Rather than chronicling the history of a given street over the course of a year, it chronicled the pedestrians of San Jose's First Street over the course of a single day. Buildup Sub-SoFA also stands apart from its predecessor, in that rather than merging with the urban landscape and becoming a somewhat innocuous part of its environment, it was presented as an exhibition, an art project on display amongst other art projects. From the mid-afternoon and into the late evening of, Friday June, 6 2008, Buildup Sub-SoFA documented and engaged the community of onlookers, and passers by that attended the SoFA Districts First Friday street festival and Zero1's SubZero exhibition. SubZero took place on Friday June 6 of 2008 as part of 01SJ: A global festival of art on the edge. It was the result of 01SJ's annual block party event coming together with the SoFA District's monthly First Friday gallery openings. SubZero was coordinated by Bruce Labadie. "As part of SubZero, huge block party that celebrates unique and emerging arts movements ranging from contemporary music, street performances, Do-It-Yourself and interactive, on-the-edge art installations. Over 50 artists, bands and DJs will participate throughout the evening... Dozens of other projects and bands will be presented at the SubZero, located all along 1st St. This is one of the must-see nights of the entire Festival!" Buildup Behind Bars was originally commissioned by the City of Emeryville as part of Art Along the Avenue, a city sponsored public art project. It ran from January through May of 2006. 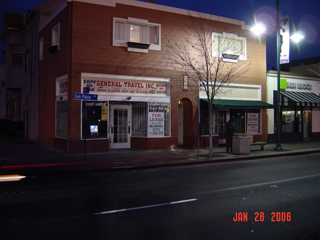 The project was installed in the storefront window of the abandoned General Travel Inc office at 4348 San Pablo Avenue. The name was coined by the installation space. Being an area of urban rot, the storefront in which the piece was installed had the mandatory bars across all the windows. This meant that the project could only be viewed, through the bars it sat behind. Thus the title is both literal and alliteral. 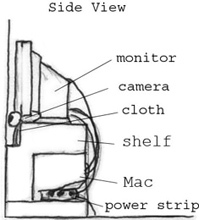 The work runs off of a G4 Macintosh Cube. 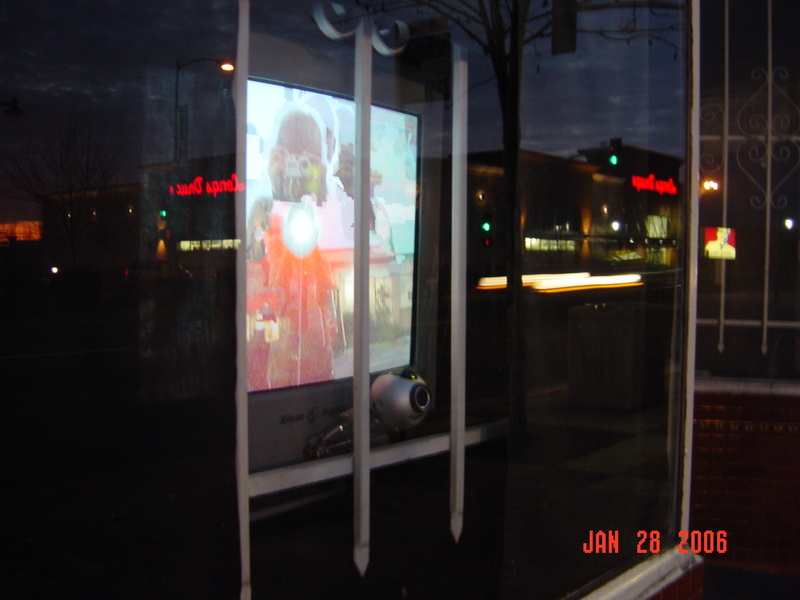 A small camera and a large screen monitor at eye level utilized the storefront window display. The camera is a Logitech Quickcam Pro 4000, a day and night web cam with automatic light adjusting capabilities. 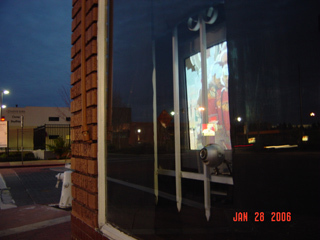 The monitor is a 21" SGI.Both are placed behind the white security bars of the store window. The remaining window area was masked off in draped black cloth. The security bars are were only allowed to be seen in the area between the window and the screen. The cloth also obscured the interior of the store and the window shelf monitor sat upon, drawing focus to the piece and adding elegance to the presentation. The following videos are time compressed and were recorded by the piece itself. 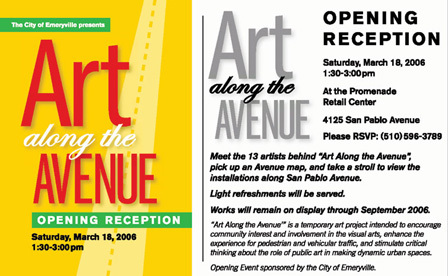 The dates March 18 to 19, 2006, correspond to the opening reception of Art Along the Avenue. 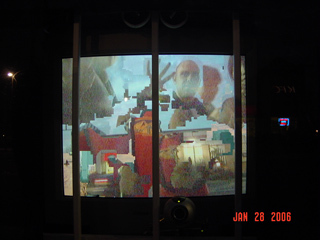 The test video was recorded during the initial project development stages the piece. Art Along the Avenue is the City of Emeryville art project for which Buildup Behind Bars was originally commissioned. Public art installations were exhibited along San Pablo Avenue from 36th to 53rd Streets through September of 2006. This nine-month temporary public art project was initiated by the City of Emeryville's Public Art Advisory Committee and sponsored by the City of Emeryville through its Art in Public Places Program. 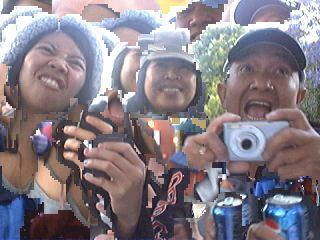 I was one of thirteen artists selected through an open call for artists inviting emerging and experienced artists to create innovative artworks to enliven the San Pablo Avenue corridor and broaden the community's awareness and enjoyment of public art.